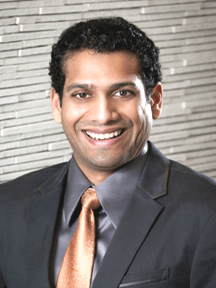 Dr. Verghese is a fellow of the American College of Mohs Surgery and the American Academy of Dermatology. He is board certified in dermatology. In addition to his private practice, he is an Assistant Clinical Professor of Dermatology at Howard University College of Medicine and former Mohs surgeon for the Veterans Affairs Medical Center in Washington, DC. A native of Southern Maryland and graduate of St. Mary’s Ryken High School, Dr. Verghese earned his undergraduate degree in biology from Georgetown University and earned his medical degree from Howard University College of Medicine. He also completed his residency in dermatology at Howard University Hospital. Thereafter, he completed a fellowship in Mohs Micrographic Surgery at the Northwestern Skin Cancer Institute.